In last week’s post I wrote about Your Daily Record, a creative habit that resembles a free-ranging journal of thoughts and impressions in which you let the unconscious mind connect directly with the world around you through the camera. 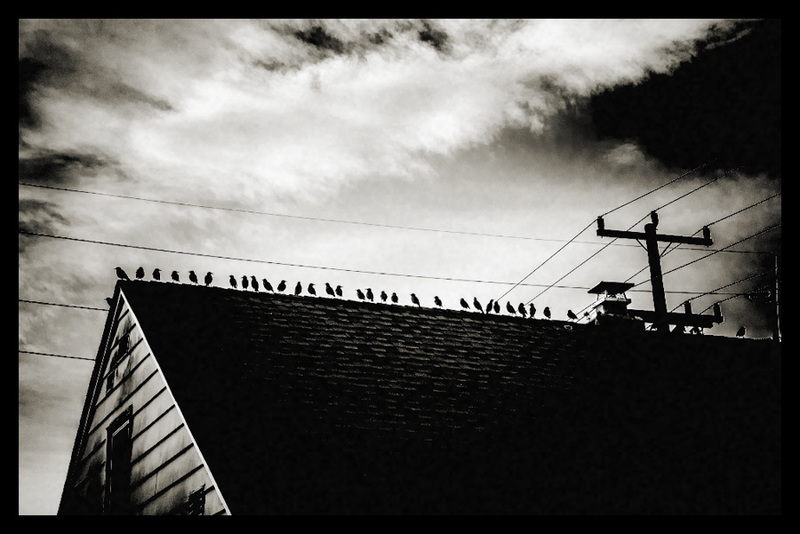 The idea I picked up from the book Zen Camera: Creative Awakening with a Daily Practice in Photography by David Ulrich. The book itself is worth looking into for anyone interested in expanding his or her photography. Zen Camera isn’t the first photo book which draws upon Eastern philosophy in its approach to photography. Others include books such as The Practice of Contemplative Photography: Seeing the World with Fresh Eyes , Tao of Photography: Seeing Beyond Seeing and Opening The Good Eye: A Path to True Seeing , all books I can recommend even if you are not interested in Eastern Philosophy at all. They all, included Zen Camera, give you a unique and useful approach to expanding your photography. However Zen Camera, differs from the others in that it’s more a cohesive program or a long term workshop than a book of inspiration and new ideas. David Ulrich draws on the principles of Zen practice as well as forty years of teaching photography to offer six reflective lessons for developing your self-expression as a photographer. His ambition with the book is to purify our seeing and allow our original self to emerge. In my opinion, Ulrich largely accomplishes the objective. At least if you are willing to look beyond his sometimes a little lengthy deliberations about the meaning of it all, if you get my notion. The six lessons take you step by step from initially developing you seeing and observation skills to how to be able to reach mastery and being able to have your photography reflect whom you are as a person in grander perspective. Of course, mastery is not something you can learn by reading a book, but Ulrich’s reflections around the way to mastery are both well founded and encouraging. In fact, reading a book will not be of much help at all. You need to convert the words into skills by practicing. And Ulrich offers plenty of fun, applicable and challenging exercises. The foundation of the “program” running as a red thread through Zen Camera is the Daily Record. All the lessons and all the exercises in each lesson can be fulfilled through the Daily Record. By working your way through the lessons and exercises you eyes will open up to seeing most likely in a different way than you are used to. It might also transform the way you perceive life, depending on your susceptibility to the Zen philosophy. At least Ulrich aims at making his thoughts valid not only for your photography but for life as such. As he write in the preface; “Zen Camera is not only about photography; it is about you. In six lessons, it guides you to cultivate creativity with the camera and all areas of your life… It helps you realize Socrates’ great directive, Know thyself, and uncover the seeds of the authentic self, hidden behind layers of conditioning and socializing”. I am not a Zen practitioner myself, and sometimes Ulrich’s deliberations around life and meaning of life seem a little too contrived to me. It’s just too much of it and a bit too woozy and lofty. However, I am sure others will have a different perception of this. The language in the book is also somewhat scholarly and studious as is evident in the quote above—which at times makes it demanding to read. Furthermore, Ulrich’s wordiness can at times be a hurdle in and of itself for fluid reading. Personally, what I find most unpleasing is his tendency towards using a flourishing languages. An example: “Freshness blooms from the beginner’s mind that has its focus in the eternal now”. For me the language distracts. I get caught up in the wording itself rather than what the words try to convey. Despite my objections, I have no problem recommending the book. You will just have to take it for what it is. But I am quite certain that no matter how you look upon Eastern philosophy and no matter how skilled or not skilled you are, you will arrive on the other side of the book with a different and more developed approach to photography, as long as you dig into it and transform the ideas into a practical approach. Zen Camera will make you a better photographer and if you can see beyond its elusive framework, it will be both inspirational and encouraging. As mentioned in my last post, over a couple of weeks around Christmas and New Year I have been trying to connect and replenish my creative well. I have spent time letting the inspiration flow and getting in touch with my muses again, particularly in order to renew this blog. One way to tap into our creative mind is by something called Morning Pages. I will get back to this in just a second. The reason I mention Morning Pages is a book I have just finished reading. 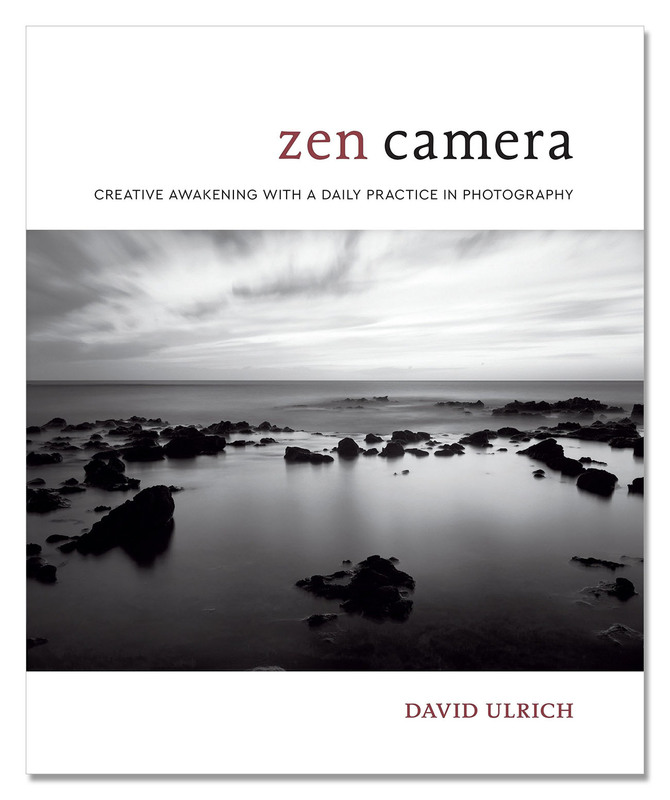 It’s called Zen Camera and written by the American photographer and teacher David Ulrich. In the book, he suggests something he calls Your Daily Record, which has many similarities with Morning Pages except instead of writing it’s a journal of photographs. I think Ulrich’s idea can be beneficial for all photographers at all levels, and that’s why I want to pass it on to whoever is interested in developing their photography. But first Morning Pages: Let me quickly summarize what they are all about. The award-winning poet, playwright, and filmmaker Julia Cameron developed the concept. Despite her extensive film and theatre credits, which include such diverse work as Miami Vice and the prize-winning romantic comedy God’s Will, which she both wrote and directed, Cameron is best known for her hugely successful works on creativity. Particularly her book The Artist’s Way has gained worldwide recognition. The book teaches techniques and suggests exercises to assist people in gaining self-confidence in harnessing their creative talents and skills. One of the basic tools is what Cameron calls Morning Pages. Morning Pages are a way to connect with your creative well. It’s basically writing three pages in handwriting as the first thing your do in the morning after you wake up, just whatever occurs to your mind and without trying to control neither the thoughts nor the writing. The idea is that when you wake up you are still very connected to your unconscious mind—which then expresses itself through your writing. It really works (for more about Morning Pages, look up my post Finding the Creative Well). I recommend anyone who has embarked on a creative endeavour to do Morning Pages, or at least try out the idea. Despite the fact that you have to write, it’s by far for writers only. You don’t even have to be able to write. Well, literally you will have to, of course, but Morning Pages are good training for photographers and everybody else who is creating even if they don’t believe they can write any good. It’s not really about writing, but about getting those unconscious processes to flow and become an integral part of your creativity. I read The Artist’s Way long ago and ever since have done Morning Pages—admittedly on and off. Nevertheless, already back then in the beginning, I thought the idea could be morphed or moulded into a similar processed using the camera. I did try my morning photographs for a period of time, but never made it work. But, alas, here comes David Ulrich and Your Daily Record. In the preface of Zen Camera he does himself compare Your Daily Record with the Morning Pages. Imagine how excited I was when I found out. He had developed a method that works. The baseline for the idea is acknowledging that it’s imperative to photograph regularly and frequently if you want to strengthen seeing and become a better photographer. How much then? Personally I will strongly recommend trying to shoot on a daily basis. I know, it sounds like a lot, but I am confident that you relatively easily may accomplish some shooting during the daily rut of things you need to do. At least the way described by Ulrich. Doing so will encourage development of your skills as a photographer. Your Daily Record is similar to a free-ranging journal of thoughts and impressions. You let go of conscious thoughts on how you ought to photograph and let the unconscious mind connect directly with the world around you through the camera. When doing Your Daily Record, make it easy for yourself and use your cell phone, which you always carry around anyway. And if you use a “real” camera put it on automatic or program mode. Furthermore, capture images in jpeg-format. I am an ardently believer in shooting with raw-format, but for Your Daily Record, jpeg makes sense since these are images you would normally not process but only capture as sketches and for you to become aware of and develop your photographic mind (truth be told, though, I have set my camera I always carry to capture both formats, just in case…). Now dedicate time for the daily exercise. It doesn’t have to be time solely for shooting; use off time if you have a change. Shoot while you go for your daily walk, or shoot while commuting with bus or train, or during your lunch break. Whatever works and doesn’t feel stressful. Now just see and record what you see with you cell phone (or camera). Don’t worry or think about making good photos. These are only sketches. Take photos of everything you see and that strikes you enough to make you become aware of it. Photograph anything and everything that ignites any kind of response or resonates with you. Just captured images without thoughts and any worries about composition, light or technique. Use your emotions as a guiding light, photographing what hits you in some way, whether positively or negatively. Shoot a lot and quickly. Shoot from the guts. Over one week, you should try to capture at least 100-200 images according to Ulrich. Before starting the reviewing, upload the images to a computer. It’s much easier than watching them on a small cell phone screen. Then go through them, initially without any editing or judging. Remember that Your Daily Record is most of all about the process and much less about the final product. And remember—once again—that these images are merely photographic sketches. May I finally make a recommendation at least for those of you who are serious about your photography? Make this exercise a lifelong habit. Keep shooting a journal of free images every day. I promise you it will take your photography to places you wouldn’t even imagine. I have started myself.